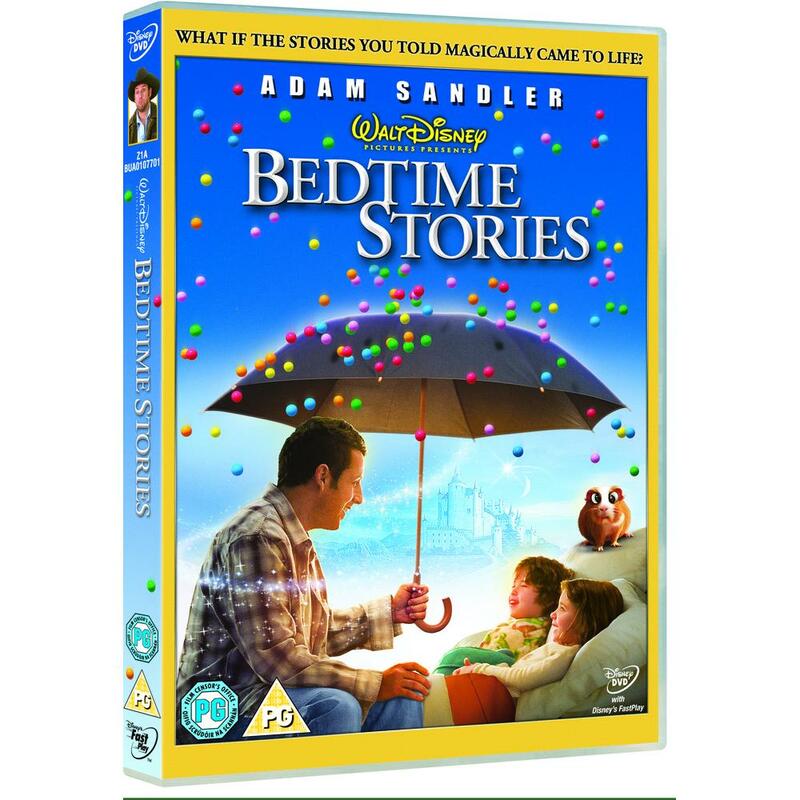 Funnyman Adam Sandler stars in Walt Disney Pictures' Bedtime Stories, the magical family comedy that's packed with adventure and lots of heart. 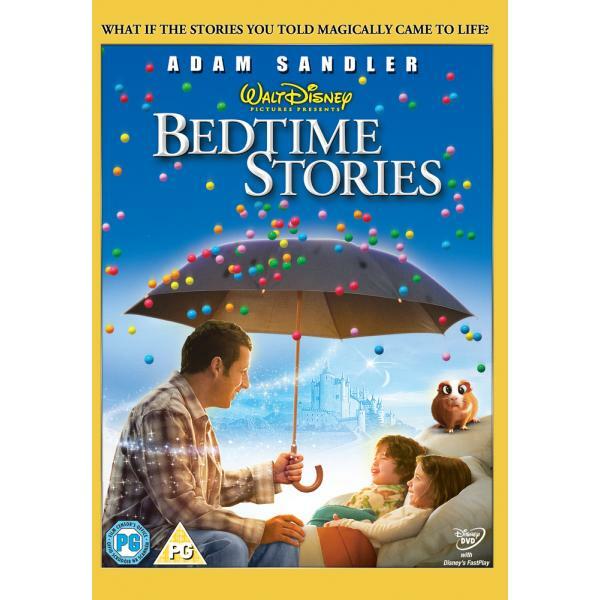 When Skeeter Bronson (Sandler) babysits his sister's (Courteney Cox) children, his imagination runs wild as he dreams up elaborate bedtime stories - always casting himself as the hero. Entranced, the children add their own ideas to these once-upon-a-time tales of heroics and chivalry. Then... magic happens. These nighttime fantasies become Skeeter's daytime realities, leading him on a real-life adventure in search of his own happy ending. Filled with colourful characters, humour and whimsy, this heartwarming comedy will enchant your entire family again and again. Special Features Hilarious Bloopers And Deleted Scenes, Until Gravity Do Us Part, The Creation Of The Amazing Anti-Gravity Battle, It's Bugsy, A profile Of Everyone's Favourite Guinea Pig!, To All The Little People, Adam Having Fun With His Co-Stars Laura Ann Kesling And Jonathan Heit, Dylan & Cole Sprouse: Blu-ray Si Suite!